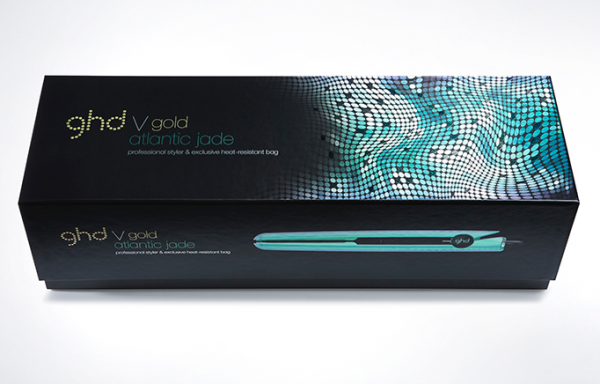 Product information "ghd V Atlantic Jade Styler"
The classic V Styler has a new makeover in a pearly Atlantic Jade shade and comes with a matching roll bag and a heat mat to protect your styler and surfaces. The smooth black plates helps your hair glide through with minimal effort, making straightening hair of all lengths and types, quicker and easier. The contoured edges help to create all kinds of curls and waves. The styler helps create high shine and a salon finish on your hair, all in the comfort of your own home. The V Styler has a setting where after 30 minutes of non-use, it goes into an automatic sleep mode. The Styler is also complete with universal voltage, so you will get the same styling performance wherever you are, making the V Styler a worthwhile choice if you travel often. Related links to "ghd V Atlantic Jade Styler"
Customer evaluation for "ghd V Atlantic Jade Styler"